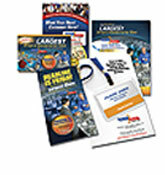 Postcards, Brochures, Envelopes & Business Card Printing Services in the Greater Waterbury Area. FILES: Native files & High Resolution PDF required. Macintosh formatted files preferred. Single page format - no spreads. Quark, Illustrator, Photoshop & InDesign files preferred. No Microsoft Publisher, Word, Excel or Powerpoint files accepted. FONTS: All fonts used on job need to be supplied in a separate folder marked “fonts”. Please ensure all families (screen & printer) fonts are supplied for the job. Shortcut bolding, italicizing, etc. of type will not transfer properly, resulting in altered type appearance. IMAGES: Must be saved as CMYK and no less than 300dpi at actual size. NO RGB FILES ACCEPTED. Images need to be TIF or EPS formats. All images need to be supplied to be linked to layout files. COLORS: All special colors need to be clearly specified. Pantone (PMS) colors preferred. Please specify if job is to be printed CMYK, spot color, etc. All dielines and form guides to be set as ‘Overprint’ in file and set up as a separate spot color not used in the document. White areas are NOT to overprint. FILE TRANSFER: Call Anthony at 1-203-758-6007 for login details. FTP client software is available online such as Fetch and many others. Customer must notify us when the files have completely uploaded via phone, fax or email. Let us make some recommendations on how to cost-effectively add to your marketing mix. Maybe a postcard or brochure with the right message, printed on beautiful paper with a satin varnish finish – or maybe some envelopes or business folders with letterhead and business cards to match for your next sales meeting will display the type of company image you want. Give us a call to discuss some options. We are confident you’ll like our prices, our quality and our turnaround time. A great design can look really bad if it’s not printed, trimmed and folded correctly. 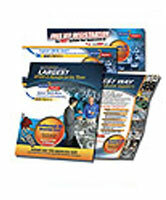 Let Prospect Printing take your creative ideas and make them shine. We take the time to make sure that the process is planned out from beginning to end, taking into account variables like paper, folds, ink coverage, color accuracy, binding and delivery. Stop in and see us to view some samples of what we can do for you.